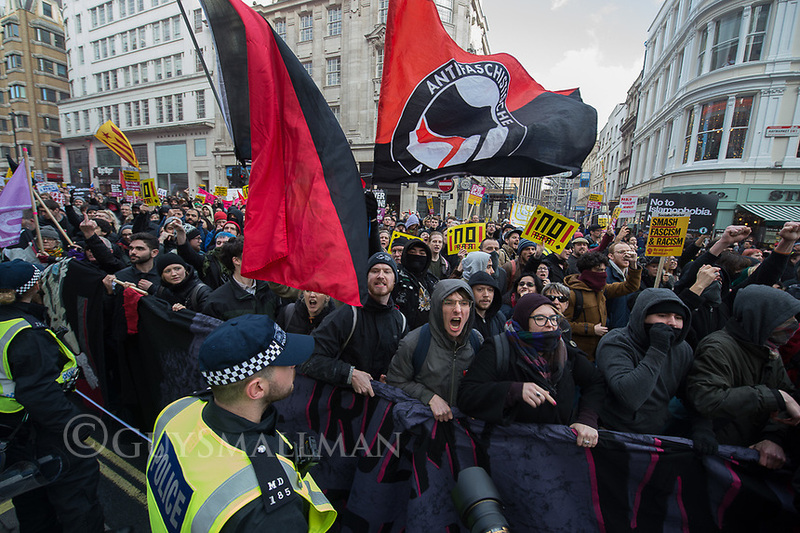 UKIP and Tommy Robinson hold a 'Brexit Bterayal' protest opposed by anti fascists in central London 9-12-18. There were scuffles between anti fascists the police and rightwing extremists. Copyright © Guy Smallman All rights reserved.